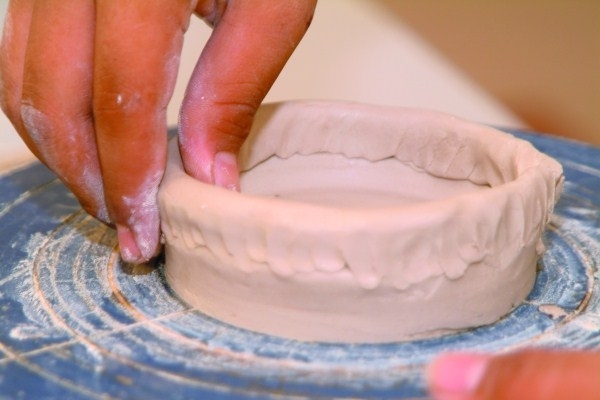 Pottery classes first started out as a co-curricular activity in year 2003. At present, the classes have been conducted as a Performing Visual Art by a team of dedicated teachers from Metta School. Individual classes are held on every Wednesday and Friday. The duration for each session is 2.15 hours. Currently, the total enrolment for both am and pm session stands at 64. Pottery is an extremely therapeutic activity that allows those involved to relieve stress and cultivate patience. It enhances creativity, spatial intelligence and fine-motor skills development among children. The process of focusing energy in creation is an experience that is both rejuvenating and self-fulfilling. Children with autism are found to benefit from pottery making. Hand pinching, slabbing and coiling using the pottery wheel are some of the techniques that our students have learnt. At present, we also have students using electric wheel to make pottery. Putting their skills to good use, these little potters created numbers of pottery for some of our special guests in various events and occasions.